Simply put, The Rolling Stones are on fire here. 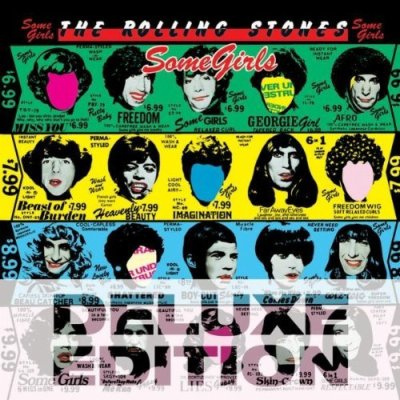 The Rolling Stones’ 14th studio album was recorded in Paris but written and mixed in disco-crazed New York, as the sounds of a harsh new genre called punk rock started to penetrate the public consciousness. The result of this melting pot is a remarkable, deeply enjoyable record that let the world know that The Stones were still very much alive and kicking it. Lead and backing vocals, acoustic guitar and harmonica. It’s 1977. Elvis is dead. Most of Lynyrd Skynyrd are dead. Marc Bolan is dead. Prog fans, hippies and rock and roll fans will all be dead shortly. They are being hunted down and spat upon and pogo’d to death by hordes of angry teenagers with green hair, safety pins in their faces and anarchy symbols carved into their foreheads. Hang on, that’s not right. Studio 54 is a disco. And Giorgio Moroder and Donna Summer have just recorded I Feel Love, one of the most influential dance records of all time. And Saturday Night Fever, probably the greatest mainstream disco record ever made, is number one all over the world. According to Joe Strummer, London’s Burning; but here in New York, it’s like punk isn’t happening. Strange times, these – especially for Keith Richards, who by this point is asking you to baby better come back later next week, seeing as how’s on a bit of a losing streak, crashing cars, getting busted for coke (guilty) and acid (innocent), and then REALLY getting busted, for smack, in Canada, and facing a lengthy jail sentence. So what next for The Rolling Stones in this maelstrom of musical meltdown and personnel pandemonium? Some Girls, that’s what – a tremendously fresh, energetic and accomplished response to the surrounding sound of cultures clashing and band members falling over. Some Girls is a lewd, rude, dance floor and concert hall classic, with its famous trademark tongue stuck firmly in its cheek, and wherever else it can reach. Thirty-three years on from its original release, the re-mastered, expanded, Deluxe edition of Some Girls show why the 1978 album has often been hailed as the equal of Exile On Main Street. Some Girls is both a time capsule and a timeless listen. It features the band at their tightest and toughest, at their most vibrant and vital. It’s an all-killer, no-filler, must-have album. It still packs a punch. 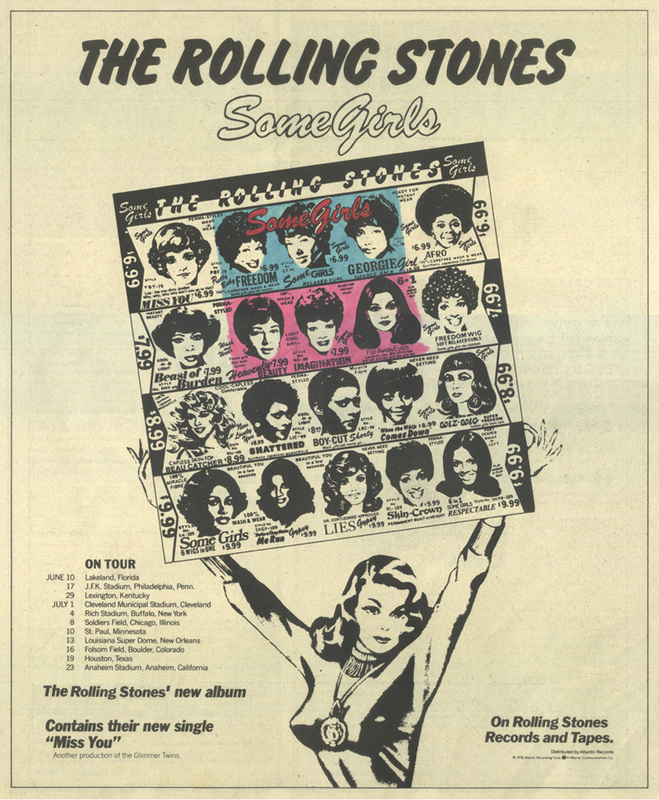 The Rolling Stones 1978 tour of the USA in support of that year’s ‘Some Girls’ album is considered by fans to be one of their very best. The tour followed immediately on the release of the ‘Some Girls’ album and by the time the band arrived in Texas in mid-July the album had hit the No.1 spot on the Us charts. The tour took a ‘back to basics’ approach, with the band and their music at the forefront and little or no elaborate staging. Filmed at the Will Rodgers Memorial Center in Fort Worth, Texas, on 18 July 1978, this concert captures the Rolling Stones delivering a raw, energetic performance in front of a crowd who are clearly loving the show. 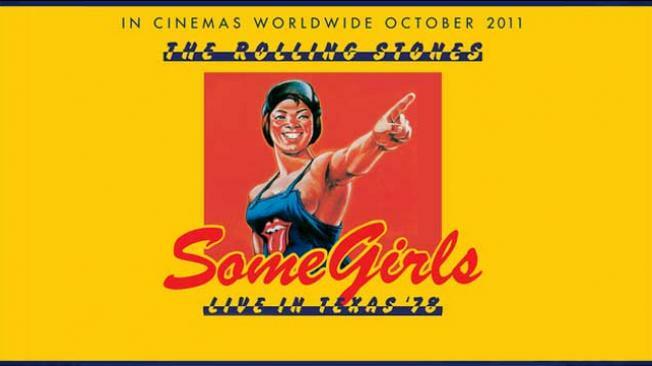 Many of the track from ‘Some Girls’ are included in the live set with a sprinkling of Stones classics from earlier albums.